Call NOW for your Collagen Peel and Customised Free Skin Consultation for Skin Ageing an Skin Rejuvenation at our Essex Clinic. The Collagen Booster RF Peel (Known as Collagen Wave Peel or Collagen Wave Facial) is the advanced combination of ENDYMED™ and Skin Peels. First the Radio Frequency of the ENDYMED™ Skin Science produces a heating technique to the skin that is designed to stimulate natural subdermal collagen response, next comes the Fire and Ice Peel that removes the top loose layers of the epidermis, whilst the superficial trauma caused to the skin, stimulates the skins healing mechanism this combination provides a super boost for your collagen production. The results reveal more youthful looking, firmer, tighter, smoother, lifted skin, with your skin feeling instantly more radiant. First, the EndyMed™3DEEP® treatment involves the non-invasive action of radiofrequency which feels like a deep warming of the skin, to stimulate collagen growth. Followed by the luxurious Fire & Ice facial treatment, which is a multi-step treatment with two masque applications followed by application of a serum and a cream to soothe and moisturise the skin. Finally, we use the Déesse LED PhotoTherapy programme producing a calming effect on the skin and further stimulating the collagen renewal process. The treatment is completed with the application of ZO skin health products and Heliocare SPF. 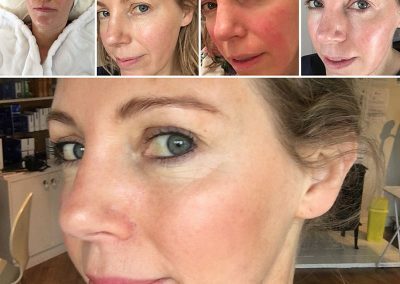 Consultation: Free Consultation – Why don’t you book in to have a no obligation chat about Skin Rejuvenation and natural Collagen growth and see why so many of our patients recommend us!. Possible complications: Redness, bruising, swelling, allergic reaction, temporary drooping of eyelids or eyebrows after forehead injections* Please Click Here For Collagen Wave Treatment Protocols. 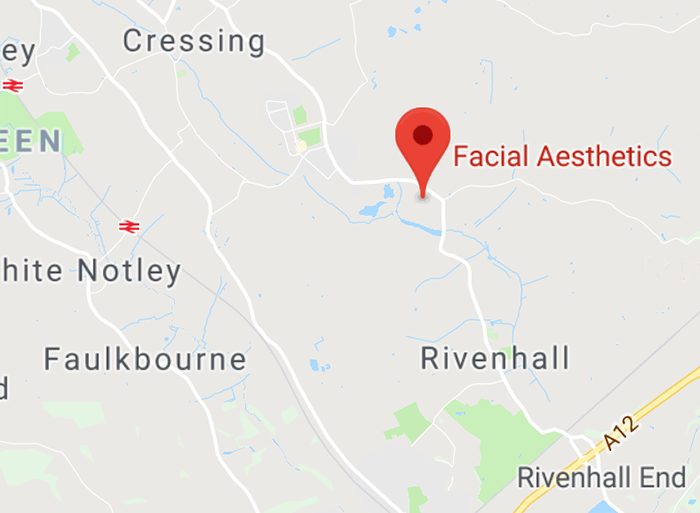 Patients Travel From All Over Essex to Our Skin Clinic: Basildon, Bishops Stortford, Braintree, Brentwood Chelmsford, Colchester, Dunmow, Kent, London, Maldon, North Essex, Southend, Wickford and Witham. The Award for the Furthest is Monaco!. 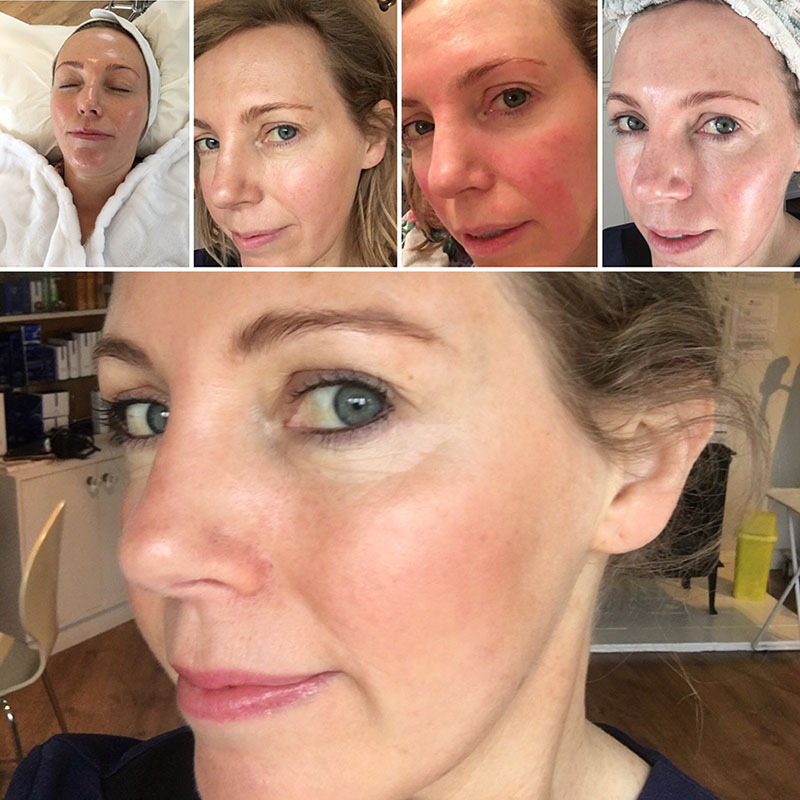 This treatment combines a Fire & Ice Peel and Skin-Tightening, both combining to provide the foundation and support for younger looking skin and helping with the following conditions. *Note: Treatment results may vary, but the Collagen Wave Facial Before and After is a guide. Click Here for FAQ’s about your Collagen Booster RF Peel Treatment to help you understand if the treatment is right for you, but please remember we can answer any more detailed questions at a complimentary consultation, over the telephone with one of our clinical experts or by completing the below contact form. Click Here to review our treatment guidelines, for the Collagen peels in Essex. Your procedures will go more smoothly with a quicker healing time, reduced bruising and enhanced results if you adhere to some of our simple guidelines.